Mid-season transfers, much like any professional sport be it here in America or Worldwide, tend to be common fare. For some Euroleague clubs, the risk of perhaps disrupting team chemistry on and off the court is well worth it, especially if it can help a team solidify or boost their playoff and Final Four chances. At this time of the year, with some teams’ playoff chances fading faster and faster with each coming week, the need to make a drastic change in the roster now can feel urgent, not just to salvage the season, but also one’s status for next season. 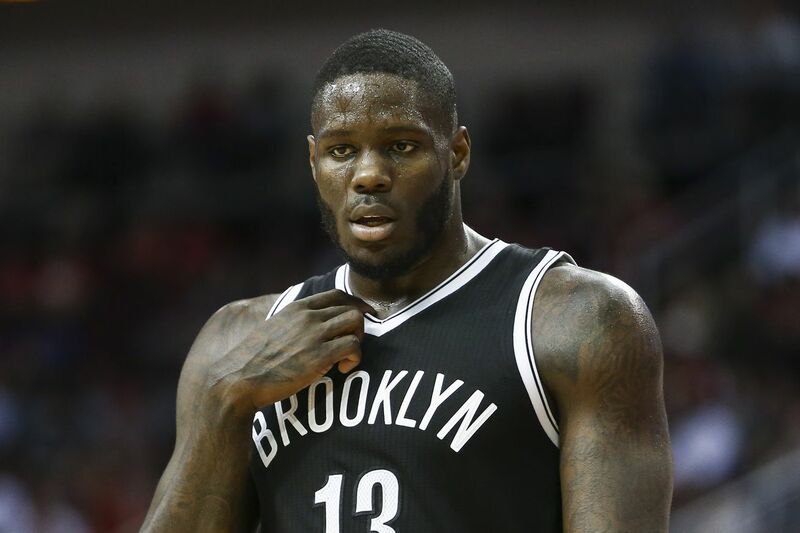 Already, we have seen mid-season additions such as Alessandro Gentile with Panathinaikos, Dominic Waters with Olympiacos, Ante Zizic with Darussafaka, and Deon Thompson with Crvena Zvezda provide much needed depth and production to their new clubs (and that isn’t including Anthony Bennett, who could be a tremendous boom or bust for Fenerbahce). FC Barcelona and Baskonia are hoping post Vitor Faverani, and guard Nicolas Laprovittola, respectively, will continue that trend of mid-season transfers being positive additions in 2016-2017, especially considering both teams’ playoff states are far from being certain going into week 18. Let’s take a look at what each player will provide their respective club, and if this will affect their playoff chances in a positive or negative fashion in the second half of the season. Barcelona basically traded posts, essentially, as they signed Vitor Faverani from UCAM Murcia, and released Joey Dorsey to make room for the Brazilian national. Management’s decision to let go of Dorsey was probably not an easy one: they signed him to a two-year contract extension this off-season, and he is the team’s (and perhaps the Euroleague’s) best rebounder, according to rebounding rate. However, Dorsey has not only struggled to stay on the court due to injuries (which has caused all kinds of hoopla on Twitter; Dorsey claims that the Barcelona medical staff neglected treating him for a lot of issues, which in his eyes, sabotaged his season), but also has failed to help a struggling Barcelona team put points on the board. He averaged only 5.5 ppg on 54.8 percent shooting in 17 mpg (and he was dismal at the line, shooting around 54 percent). Considering his athleticism, strength, and the lack of depth in the frontcourt, head coach Georgios Bartzokas and Barcelona expected much more from him in the beginning of the year, and it makes sense they decided to cut their losses now considering they are still in the playoff hunt, and can’t afford many more losses. With Dorsey gone, in his place comes Faverani, who had a cup of coffee with Maccabi Fox Tel Aviv last season (he played two games) before spending the past year and a half in Murcia with UCAM. Faverani is the opposite of Dorsey: he doesn’t offer the intimidating presence, but he makes up for it with a deft skill set on both the offensive and defensive end. Last season, UCAM was boosted by the high-low combo of Faverani and Argentinian “Wunder-Guard” Facundo Campazzo, who helped UCAM to a 18-16 record, and a 7th place finish in the Liga Endesa (which produced a very entertaining first round series between them and Real Madrid, which Madrid won 2-1 in a best of three round). There was a lot of hope that with another year together, and a spot in a weakened Eurocup competition (due to the defections of many clubs to FIBA’s Champions League), that Faverani, Campazzo, and UCAM would be a dark horse of sorts this year. Unfortunately, the change in coaching staff from Fotis Kasakaris (who left for Lokomotiv Kuban; and was fired mid-season, ironically) to Oscar Quinatana has not been kind: neither Campazzo (turnover and shooting issues) nor Faverani has been as effective this year, and currently UCAM sits at 5-11 in the Liga Endesa and 1-2 in the Top 16 round of the Eurocup. However, UCAM’s loss may be Barcelona’s gain. Faverani adds much needed scoring to a frontcourt that has been plagued by injury and ineffectiveness. In addition to Dorsey’s issues, Barcelona has struggled to get anything in the post beyond Ante Tomic, who is their main frontline scorer, as he is averaging 10 ppg, 4.9 rpg and has a team leading 13.7 PIR per game. Justin Doellman, who has gone through injury issues himself like Dorsey, has been primarily regulated to a jump shooting stretch-four when he is on the floor (he has only appeared in 11 games). Additionally, newcomer Victor Claver has been a slightly better, but different version of Doellman, as the Spaniard has had more of an effect on defense and on the glass (4.4 to Doellman’s 2.6 rpg), but scores less than Doellman (5.5 to Doellman’s 6.9 ppg). Those are not good signs for an offense that ranks in the bottom of the Euroleague not only in terms of points scored (71.4 ppg), but also in point-differential (their -58 point differential is third-worst, ahead of only Galatasaray and Olimpia Milano) and offensive efficiency (their 90.9 rating is worst in the league). However, there is hope that the 28-year-old Brazilian forward will help improve those numbers during this week 18-30 stretch. First off, Faverani is a skilled big with good touch around the rim. Faverani averaged 11 ppg on 55.6 percent shooting this year in Eurocup play, and 9.7 ppg on 56.8 percent shooting in the Liga Endesa. Those numbers are down of course from the 10.5 ppg and 61.5 percent shooting clip he put up in the Liga Endesa last season, but it still demonstrates that Faverani can be a productive player in the post on the right team. Considering that Barcelona struggles to get consistent scoring from anyone on the roster beyond Tomic and guard Tyrese Rice (who has had his own inconsistency issues this season as well), Faverani certainly will have the opportunities and chances to have an impact. Now, the one knock on Faverani is that he’s not an explosive athlete. He relies on his crafty skill set to score baskets, and even his made shots can be painful to witness on occasion. Faverani had some good outings in his short stint in the NBA with the Boston Celtics in 2013-2014, but even in the highlights below, he can lacks grace and fluidity on occasion in his offensive game. Nearly three years later, it hasn’t gotten much better, but at least he has been able to use his experience to make up for these shortcomings. The one positive about Faverani’s arrival is that he shouldn’t affect this team defensively, which has not only been the key reason why they have stayed in the playoff race, but also a calling card of Bartzokas as a coach. Faverani is tough and doesn’t give up easy baskets around the rim, and he is also a much wiser defender than Dorsey. It was common to see Dorsey get in foul trouble, unable to harness his aggressiveness or frustration consistently (a knock he has had ever since his days in college at Memphis). Faverani still is a tough, and aggressive player, but he is much better in terms of playing defense without fouling in comparison to Dorsey. Not only will this help keep Barcelona’s defense humming down the stretch, but it will also provide dividends on the other end of the court: the more Faverani is playing, the better chance their offense will have from escaping the garbage dump they currently sit in now by the end of the season. Faverani might not single-handily save the season for Barcelona. They still have to get past Brose Bamberg, UNICS, Efes, and Red Star, not to mention hold off Maccabi, which still has a puncher’s chance with the trio of Sonny Weems, Andrew Goudelock, and Quincy Miller. That being said, trading Faverani for Dorsey is a positive upgrade for Bartzokas’ squad, as they improve considerably on offense without sacrificing too much on the defensive and rebounding end (though Faverani is not quite the rebounder Dorsey was; but then again, few in the Euroleague were). He’s been dubbed the next “Manu Ginobili” by some. Some have even ventured as far as calling him the “Argentinian Steph Curry” thanks to his sweet and streaky shooting stroke. However, after a brief 18-game stint with the San Antonio Spurs, Nicolas Laprovittola returns to Europe, this time with a Baskonia squad that is hoping to return to the Final Four. The addition of Laprovittola is just the latest move by Baskonia management to add depth to the point guard position behind Shane Larkin. Though Larkin has performed well, he is still in his first year in Europe and in the Euroleague, and he has had some performances that have left more to be desired as of late. Against Panathinaikos and star player Nick Calathes, Larkin really struggled, as he had only 6 points and 6 turnovers in a narrow 69-68 loss. While Rafa Luz has given some nice hustle and defense, his physical limitations and lack of production on offense have been a big reason why Baskonia has been so active during the year in finding another guard to relieve Larkin off the bench. Baskonia made some big news before the new year to address this issue by signing Baskonia legend (during the Tau Ceramic days) Pablo Prigioni in early December. However, the hero’s homecoming was short-lived, as Prigioni, 39-years-old and struggling with injuries, only played 3 games in a Baskonia uniform before announcing his retirement. After a disappointing loss to Darussafaka on the road, the Basque club wasted little time to replace Prigioni by signing Laprovittola not long after he was released by the San Antonio Spurs. The 26-year-old Argentinian is an impressive mid-season pull. While he is not as flashy as fellow countryman Campazzo, he is certainly a more consistent and efficient shooter. Laprovittola shot 37 percent from beyond the arc with the Spurs this season despite barely seeing time on the floor (he only averaged 9.7 mpg). However, there were times where Laprovittola showed flashes of potential when he received extended minutes: against the Clippers on November 5th, he played 22 minutes, and scored 11 points on 4-of-5 shooting from the field and 3-of-4 from beyond the arc to go along with 5 assists. He also put up a similar performance against Minnesota on December 6th, where he played 21 minutes, scored 10 points on 4-of-5 shooting and 2-of-3 from beyond the arc. Unfortunately, though for the Argentinian, those moments were few and far between, and it makes sense considering his 3rd-PG status that the Spurs let him go to find greener pastures in Europe. And luckily for Baskonia, that greener pasture for the free agent guard happened to be in Vitoria. As you will see from his highlights below, Laprovittola brings a much needed skill set to this Baskonia squad. They have been solid in the post thanks to Johannes Voigtmann, Tornike Shengelia, and Kim Tillie; and on the wings with Adam Hanga and Chase Budinger. Along with Larkin, Laprovittola could prove to be a missing piece to the Baskonia puzzle: he offers up much needed outside shooting (they score a lot less from beyond the arc this season than a year ago) as well as playmaking, which they struggle to get when Larkin is not on the court. I don’t know if Laprovittola will live up to that Manu or Curry hype, but it is easy to see him being productive immediately for Baskonia under coach Sito Alonso, who has already done a hell of a job coaching this diverse bevy of talent thus far. Unlike Barcelona, who is just fighting for a playoff position, Baskonia is probably safe in terms of finishing in the Top-8 by the end of Round 30. They currently are 11-6 and sit in fourth place now, one game ahead of Panathinaikos and Fenerbahce, who are tied for 5th at 10-7. Barring a major collapse or a huge rash of injuries, Baskonia fans can look forward to Euroleague playoff basketball in the Spring. However, the goal for Baskonia is not to just get to the playoffs, but make it back to the Final Four. With the point guard issues surrounding this team, as well as Andrea Bargnani’s health a major question mark, this team needs to solidify their rotation a bit if they want to keep themselves in this Final Four discussion. Pana certainly is getting better not just with the arrival of Gentile, but also due to Mike James, who is finally healthy, and coach Xavi Pascual getting more comfortable coaching this team. Fenerbahce could also see a big boost with the arrival of Bennett. Hence, it makes sense to see Baskonia make a move to keep up with those two clubs who are coming up quick on Baskonia’s heels in the standings. Now, will Laprovittola be an impact player? It’s hard to tell. He played so little this year with the Spurs, he has no Euroleague experience, and the clubs he played for (Lietuvos Rytas of Lithuania and Estudiantes of Spain) weren’t necessarily “spotlight” teams by any measure. Without a doubt, other than his stint in the NBA, this will be the most pressure Laprovittola has faced on a professional level. Will he be able to handle it? We’ll know for sure whenever he dresses in that Baskonia uniform and steps on the court (I doubt considering the circumstances he’ll be ready for this round’s Euroleague’s games). That being said, this signing definitely has thrust Baskonia into the list of Euroleague teams worth following closely for the remainder of the regular season. Brose Bamberg and Crvena Zvezda surprising…but will it last? As the Euroleague season heads into Round 17, the performances of German club Brose Bamberg and Serbian club Crvena Zvezda (Red Star) Belgrade have certainly turned the heads of many Euroleague fans and experts. While both had good campaigns a year ago (Brose made the Round of 16; Red Star made a surprise playoff appearance where they were swept by CSKA Moscow), it was expected that these two would be battling to avoid the cellar in “revamped” 16-team Euroleague format. Both teams had lost key players in the off-season (Brose lost star scorer Brad Wanamaker to Darussafaka; Red Star lost explosive wing Quincy Miller and post mainstay Maik Zirbes to Maccabi Fox Tel Aviv), and didn’t necessarily replace them with any “big-name” signings. Thus, it was easy to dismiss that both teams would give some fight, but were far from serious contenders for a playoff spot. And yet, here we are, with Red Star currently in the 7th position at 8-8 and Brose on their tail in the 9th position at 7-9. Both teams have won their last three games, each with quality wins over playoff-contenders on the resume in the recent stretch (Brose has beaten Olympiacos and Barcelona by double digits; Red Star did the same to Real Madrid and CSKA Moscow). Considering how wide-open the playoff situation is beyond Real Madrid, CSKA and Olympiacos, both under-the-radar clubs have to be taken seriously not only as playoff contenders, but perhaps Final Four dark horses to boot. That being said, we are only one week into the second-half of the regular season. Are Brose and Red Star for real? Or are they simply riding hot stretches of play, about to be exposed in the coming weeks or toward the end of the season? Let’s take a look at both clubs, and their outlook over the remaining 14 regular season games in the Euroleague in 2017. Melli and the Brose offensive machine. Niccolo Melli was named the Euroleague MVP for December and for good reason. After a buzzer-beating 90-88 loss to CSKA Moscow, Brose was 2-8 and in the Euroleague basement on December 1st. 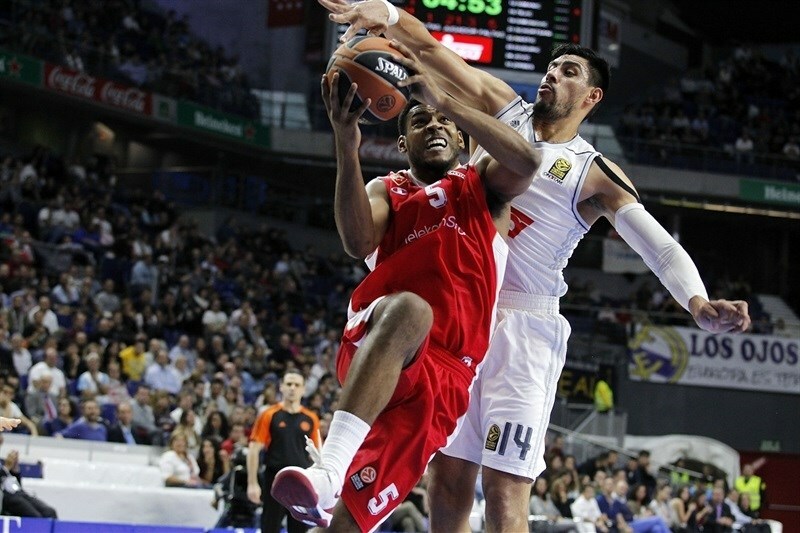 Since then, the Bamberg-based club has been 5-1, their lone blemish a loss to Real Madrid in the Spanish capital. And the spectacular play by Brose’ Italian star has been a major reason for the turnaround. Melli is averaging 13.1 ppg, 8.3 rpg, 2.2 apg on 55.6 shooting from the field, which includes a 57.5 true shooting rate. All this has helped Melli accumulate a PIR average of 20.3, not only the highest on the team (the closest is newcomer Fabien Caseur with 12.1), but also the second-best mark in the Euroleague (behind only UNICS’ Keith Langford). Yes, Melli success’ has been largely responsible for catapulting Brose back into the playoff hunt. That being said, what this roster has been able to do despite the lack of “big-name” star power has also been a marvel to witness since week 10. Brose has become a three-point gunning team, similar to NBA clubs like the Houston Rockets and Golden State Warriors. Though they are only 5th in the Euroleague in total 3-point attempts, they have made the 3-pointer an effective weapon. 37.5 percent of their points come from three-pointers, according to Overbasket.com, which is the top mark in the Euroleague. And furthermore, this has worked to the advantage of their overall offense, as evidenced by their points per field goal mark of 1.19, which is best in the Euroleague as well. One of the most interesting aspects of this 3-point heavy assault is that it is mostly utilized when Melli is on the bench. Melli leads the team in MPG at 30.8 per game, and when he is on the court, 49.5 percent of their points come from 2-point attempts, and 36.3 percent come from beyond the arc, according to Overbasket. However, when he is on the bench, that 2-point percentage drops to 47.1 and 3-point attempt percentage rises to 41.5. Now, a higher share of points doesn’t necessarily mean success, but their 42.1 percent 3-point make rate with Melli off the floor shows how well head coach Andrea Trinchieri utilizes his lineups not only when his best player is on the floor, but resting on the bench as well. Brose probably can light it up with anybody in the Euroleague on the perimeter. Darius Miller is averaging a team-high 13.3 ppg and is shooting 43 percent from beyond the arc, even though he has only started 8 games this year. Caseur, who served a reserve/complementary assignment on Baskonia’s Final Four squad a year ago, has emerged as a valuable shooting/point hybrid for the Euroleague’s lone German squad, as evidenced by his 10.3 ppg and 12.1 PIR. And lastly, Janis Strelnieks and Maodo Lo have also provided crucial spark to this Brose team as well on both ends of the court, both in the starting lineup and off the bench. So the question is this: can Brose parlay their hot play as of late to a playoff spot? Right now, it’s hard to see them not unless they cool down considerably from the field, which is possible, as it did happen to them in the Round of 16 a year ago. As effective as their offense is, they still offer up some size and physicality to opponents, and against more bruising teams, Brose could find trouble not just scoring points, but pulling off wins. The recent return of Elias Harris helps with some of those issues, and Daniel Theis has stepped up big time this year, but they don’t have the post depth of clubs like Olympiacos, Panathinaikos, Real Madrid, or Baskonia. And yet, maybe it doesn’t matter. Trinchieri has always been regarded as one of the finer coaching minds in Europe, and he has probably done his most masterful job yet. He has made this team one of the most effective offensive clubs in the Euroleague even though they don’t have that one “superstar” go-to guy (though Melli certainly is becoming that, if he’s not at that level already). This Brose team could have packed it in after losing eight of their first ten, but while clubs in similar positions at the time like Olimpia Milano and Galatasaray have seemed to fallen off by the wayside, Brose has become one of the scariest and most dangerous teams in Europe. Yes, it’s a long season, and on paper, there are some flaws. But the combination of Melli and Trinchieri’s coaching and system makes me confident that they’ll have a good shot to be one of the last eight teams remaining after round 30. Unlike Brose, this Red Star team looks horrendous on paper. They are dead last in points per field goal ratio at 0.99, and they are worst in the Euroleague in true shooting rate at 45.8, both according to Overbasket. Their 74.5 points scored per games is the second-lowest mark in the Euroleague (only FC Barcelona is lower at 71.7). And lastly, young Serbian standout, Luka Mitrovic, hasn’t really recovered after missing most of last year due to injury, as he is averaging only 14 minutes per game, 3.1 ppg and a PIR of 1.9 despite starting 13 games. And yet, how is Red Star, pretty much seen as an afterthought going into the year, competing for a playoff spot, and knocking off teams like Real and CSKA in sound fashion? Mostly due to defense, a revitalized Ognjen Kuzmic and their bench. Give a lot of credit to Dejan Radonjic and what he has been able to do with this Red Star club in the newer, more competitive Euroleague. Even though offensively has been a challenge, this team really earns its bread (i.e. wins) on the defensive end. Their 73.6 ppg allowed mark is best in the Euroleague, and they have been extremely potent as of late. They held high-scoring, superstar-laced squads like Real Madrid and CSKA to 70 and 67 points per game, respectively, in wins in Belgrade (which probably has been the toughest place to play in the Euroleague the past two seasons). And last week, despite playing on the road in a tough Kaunas environment, they held Zalgiris to 61 points, which included a 7-point first quarter for the Lithuanian club to start the game. With athletic perimeter defenders like Charles Jenkins, Stefan Jovic, and Branko Lazic making things tough on opposing guards up top, and post players like Kuzmic and Dangubic cleaning things up below, Red Star has emerged as one of the best, and most underrated defensive squads in the Euroleague. It’s not a pretty style of ball, and their offensive numbers can attest to that. If Brose is more like the Rockets and Warriors of today, Red Star is more like the Indiana Pacers and New York Knicks of the Mid-90’s (i.e. brutal, tough, defensive-oriented basketball). However, Radonjic has given this team a defensive-mindset and focus, and that has not only helped the Serbian club emerge with an identity in Euroleague play, but also wins. Speaking of Kuzmic, one could argue that he could be a “comeback player of the year” of sorts, similar to Ioannis Bourousis in Baskonia a year ago. Kuzmic was primarily stuck to the bench last season in Athens with Panathinaikos, especially down the stretch and in the playoffs after Sasha Djordjevic was fired. He averaged only 5.1 ppg on 48.7 percent shooting from the field, and played a reserve role behind Miroslav Raduljica and James Gist. After losing front court star Zirbes to Maccabi in the off-season though, Red Star took a flyer on the former NBA player and Serbian national, and he has made the most of the chance. He is averaging 9.5 ppg on 57.1 percent shooting, 7.8 rpg, 1.1 spg and a team-high PIR average of 15.1. Once thought as burly and unsuited for the faster modern game, Kuzmic has been not only a force below, but especially in the pick and roll. While he only scored 8 points in over 14 minutes of play, he scored six points out of the gate off of pick and roll plays, which helped Red Star get off to a start they wouldn’t relinquish for the remainder of the game. Kuzmic has seen a rejuvenation in his game, as has Jenkins, who returned to Belgrade after a short tenure with Olimpia Milano a season ago. However, what has also been remarkable is the effectiveness of their bench. Lazic, Milko Bjelica, Marko Guduric, Marko Simonovic, and Nate Wolters have all helped not only keep Red Star competitive games, but perhaps have helped their bench squad be more effective on the floor than the starting lineup. Simonovic is leading the team in scoring at 12.9 ppg. Wolters, a former South Dakota State Jackrabbit (got to shout out to my former home as much as I can) and Milwaukee Buck, has been effective at 37 percent beyond the arc, and is getting better from three-point land as he grows more accustomed to Europe. Bjelica and Guduric have their off nights (Bjelica is shooting a miserable 14 percent from three-point land), but they have showed some flashes of brilliance throughout the season. Much like Trinchieri, Radonjic has made the Red Star bench a genuine asset to this squad, even if it isn’t as pretty offensively as the Bamberg club. Now, can Red Star make it to the playoffs in back to back seasons? Their defense is solid, yes, but they will need to get more consistent on the offensive end if they want to keep their position in the 7th spot. The addition of Deon Thompson from Galatasaray should help, especially in the post. Their horrendous offense at times though makes me more skeptical of this club as a playoff contender in contrast to Brose. That being said, their defense is already playoff-caliber, and Radonjic has demonstrated his playoff chops as a coach, not just this season, but last season as well. If they can improve just a little when it comes to putting the ball in the basket, that may be enough for this Serbian club to clinch a second-straight playoff berth down the stretch.